We are creating a perfect fit – Not only for the whole range of industries, but also in the field of research institutes. We are proud to present you a case study on a gasket product specially developed for nuclear research Institute. They operate one of the major high flux MTR type reactors in the world. In a face of overhaul, the Institute decided to replace 15 years old gaskets applied to the reactor. 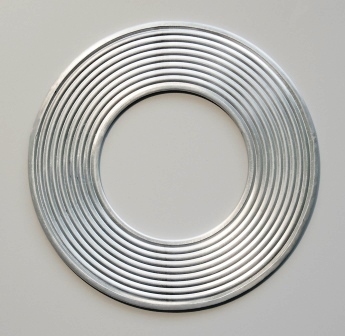 The challenge undertaken in this project was to produce a proper welded, corrugated aluminum-jacketed gasket. The gasket had to fulfill very strict requirements in order to create a perfect fit between reactor vessel and its two covers. Leak rate ought to be lower than 0.1 mg/(s•m) at room temperature and 22.5 bar pressure. Test media was nitrogen. To prevent possible damages on reactor vessel the gasket had to be designed only one-side corrugated.